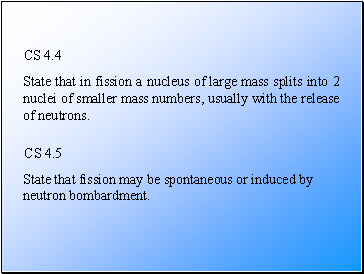 State that in fission a nucleus of large mass splits into 2 nuclei of smaller mass numbers, usually with the release of neutrons. 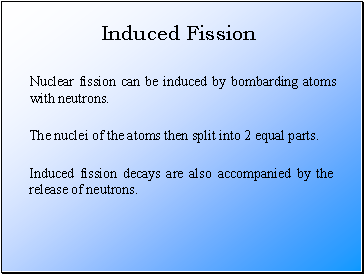 State that fission may be spontaneous or induced by neutron bombardment. 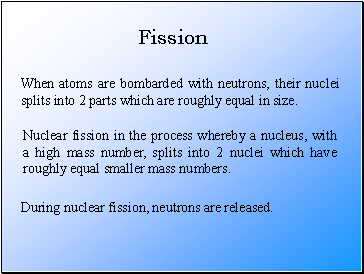 State that in fusion, 2 nuclei combine to form a nucleus of larger mass number. 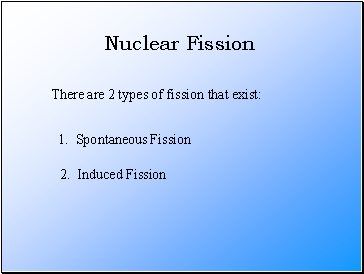 Explain, using E = mc2, how the products of fission and fusion acquire large amounts of kinetic energy. 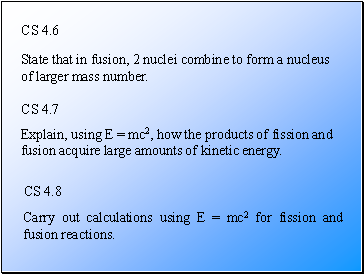 Carry out calculations using E = mc2 for fission and fusion reactions. When atoms are bombarded with neutrons, their nuclei splits into 2 parts which are roughly equal in size. 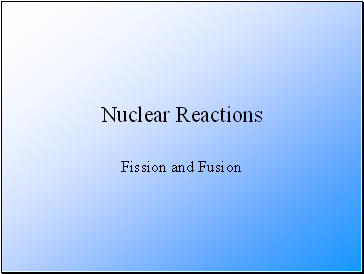 Nuclear fission in the process whereby a nucleus, with a high mass number, splits into 2 nuclei which have roughly equal smaller mass numbers. 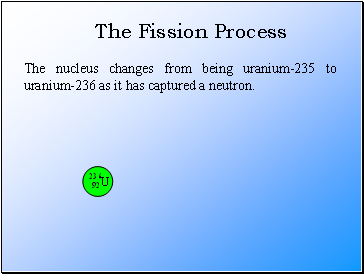 During nuclear fission, neutrons are released. 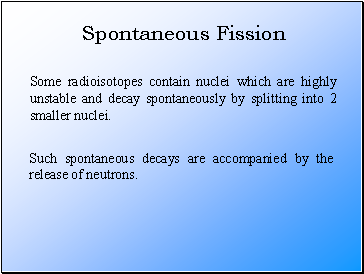 Some radioisotopes contain nuclei which are highly unstable and decay spontaneously by splitting into 2 smaller nuclei. Such spontaneous decays are accompanied by the release of neutrons. 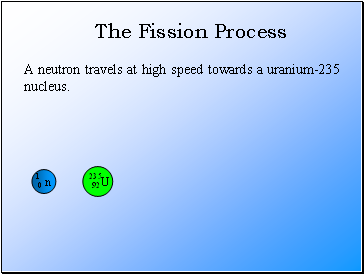 Nuclear fission can be induced by bombarding atoms with neutrons. Induced fission decays are also accompanied by the release of neutrons. The nuclei of the atoms then split into 2 equal parts. 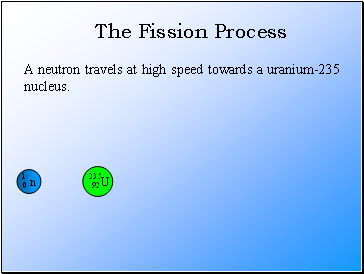 A neutron travels at high speed towards a uranium-235 nucleus. 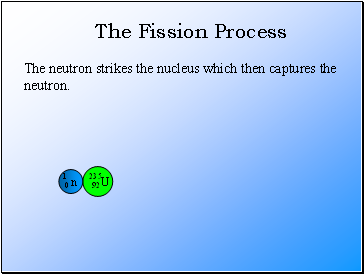 The neutron strikes the nucleus which then captures the neutron.